Valentines day isn’t far away, and Hotel Chocolat have brought out the most stunning selection of chocolates I have ever seen. This is a box designed to impress. 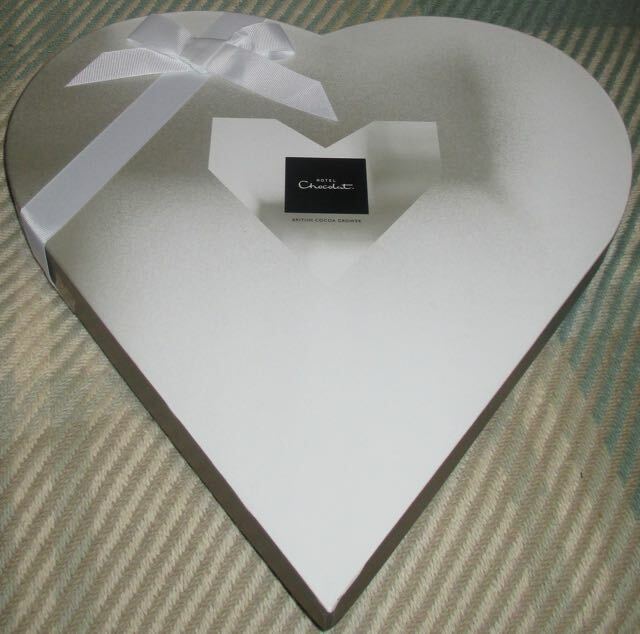 The chocolates are presented in a huge heart shaped box, and it is filled with a wonderful selection of chocolates, many keeping the romance theme and are heart shaped. When I opened the box I found myself saying “Wow” repeatedly. The chocolates look beautiful. 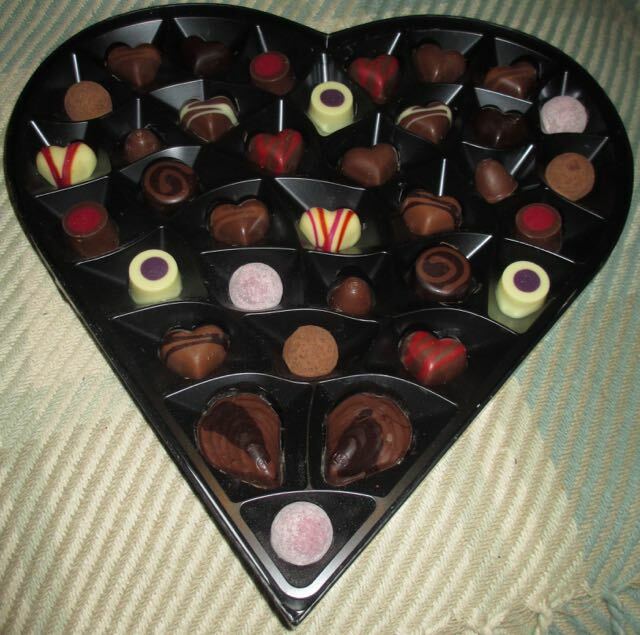 The colours on the fruit creams look stunning as do the chocolate hearts. There are also plenty of pralines, caramels and some with a boozy kick for good measure. At the base of the heart are two Praline Oysters. They are coated with a fabulous mix of dark and milk chocolate, which encases the rich praline centre. 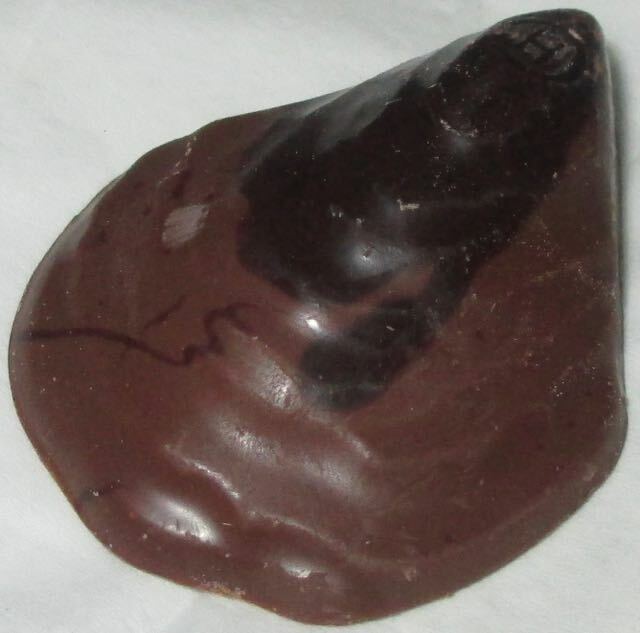 The chocolate shell is thick, but the praline is silky underneath. This is perfect for the nut fans. On a theme of oysters and champagne another romantic chocolate in the box are the beautiful Pink Champagne truffles. 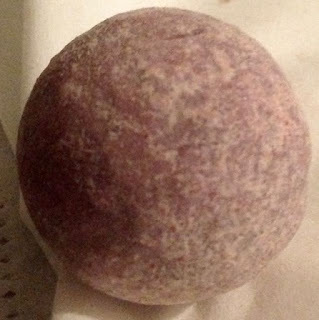 They have a dusty pink colour, and are made with thick milk chocolate. The spark of champagne in the truffle is offset by a hint of strawberry, giving this a warming but sweeter kick. The heart shaped chocolates have a variety of fillings, from Amaretto Almond Kiss to the Blood Orange fruit cream. The orange fruit cream was a favourite of mine, I do like fruity chocolates. 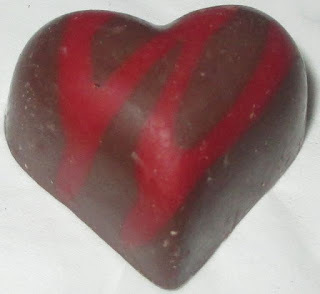 The orange taste was zesty and strong and balanced perfectly by the milk chocolate. For white chocolate fans I thoroughly recommend the Blueberry chocolate. 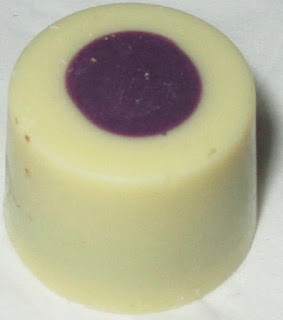 Underneath the high cocoa white shell is a wonderful burst of berry flavour, again so perfectly balanced. • If we can’t get in touch with the winner in a reasonable amount of time to obtain an address another winner will be selected. If the winner comes forward when the Valentines chocolates are no longer available an equivalent substitution will be made. If you have any questions about this competition, please send me an email or leave a comment below. Thanks so much for the great competition. I adore Hotel Chocolate goodies!